Marketers invest a lot of time (and money) to understand how their strategies are generating value. Sometimes they face problems with this approach though. The first is that they’re failing to fully understand the analytics, metrics, and ROI behind their digital marketing initiatives. The second, and as a consequence of the first, is that they’re struggling to optimize their social media spending due to the lack of proper reporting. This gives to the notion that marketers fight with so much, which is that social media is a cost, not an investment. 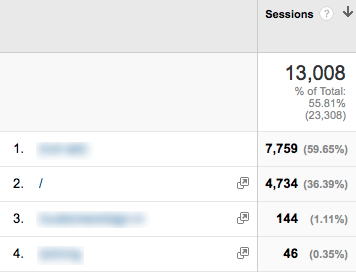 Also, if like many marketing professionals, you look regularly to your Google Analytics reports, you might ask an important question: where is my traffic really coming from? Failing to fully and truthfully address both questions with proper data can hurt your execution. This is where Dark Social comes in. 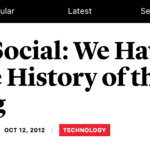 In short, dark social was mentioned here before, and is a term coined by Alexis C. Madrigal, and refers to all of the sharing activity that occurs through the copying and pasting of URLs, but which largely goes undetected by most Web Analytics programs, such as Google Analytics, Omniture or any other application. According to Alexis, most of these untraceable activities take place on classic sharing methods, such as chat tools, email, messaging apps and twitter clients. analytics applications consider dark social’s traffic to be direct traffic, incorrectly assuming that this is the true origin of such a visit. 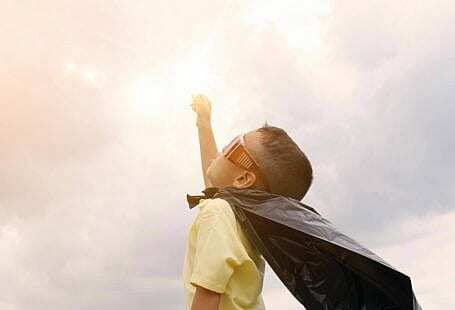 The good news is that GetSocial.io allows marketing professionals to correctly understand traffic origins and therefore study their behavior and conversions. In this post, I’ll be sharing how to track dark social shares and explain, with data, why you should do it. As you already know, it all starts with creating your GetSocial account. If you’re using WordPress, I suggest using our WordPress Plugin to make everything code-free and available in seconds. If you’re on the eCommerce side of things, we’re seamlessly integrated with WooCommerce and you can also use our Shopify Plugin. 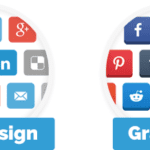 If you’re not included in the previous platforms, feel free to create your account on GetSocial.io. After you’ve created your account, you need to install our library code into your website. If you’re using WordPress or Shopify then no code is required. If you don’t use these platforms, I highly recommend Google Tag Manager to do the job (we even have a tutorial for it). 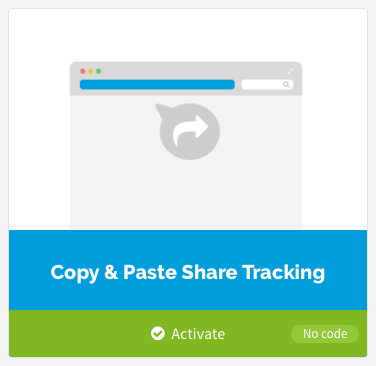 Once everything’s set up, the only thing left to do is to activate the Copy Paste Share Tracking feature on your GetSocial account. Just look for the following app and click Activate. But why should I track Copy Paste Shares on my website? 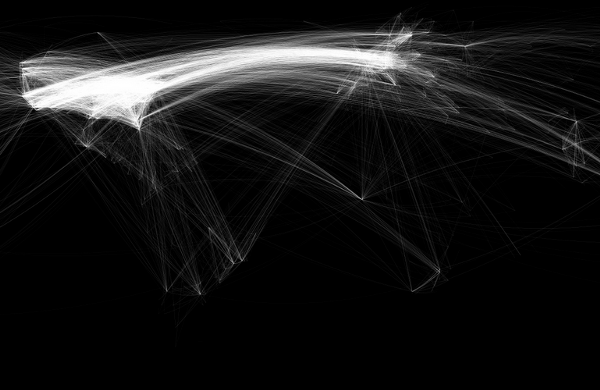 As mentioned before, Copy Paste shares (or dark social sharing) is more usual then you may think. Just think of the last time you shared something from youtube: you probably didn’t click the share button, rather you copied & pasted the URL address. Or the last time you sent that cute begging cat to a friend on facebook messenger, you certainly did not share that on your profile. 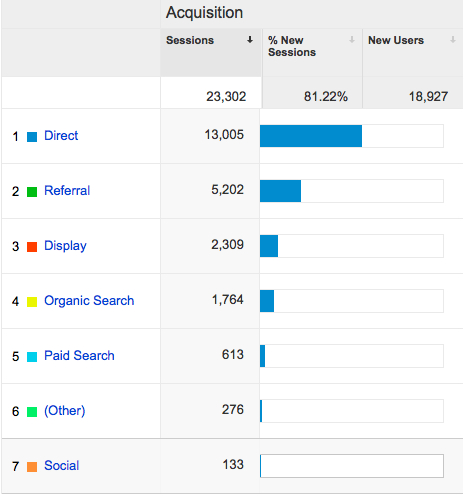 Google tells me that in the last week, 55% of my traffic was a direct hit to my website. Furthermore, if we drill down this analysis into our direct traffic, we see that only 20% of my traffic is a direct hit to the homepage. Personally, I don’t believe that about 6,500 users wrote 60–150 character long URLs in their address bars and pressed enter, nor I believe that most of the hits to the home page were, in fact, direct, but let me give you some more examples. The % of traffic coming through Copy-Paste shares. Shares from Copy Paste have a relevant contribution to a website’s traffic. Depending on the specifics of each website this value can be as high as 80%-85%. Attributing this traffic to direct hits is plain wrong and can jeopardize the execution of a social media strategy or proving its value, economically. Are you ready to take your social media analytics to the next level?